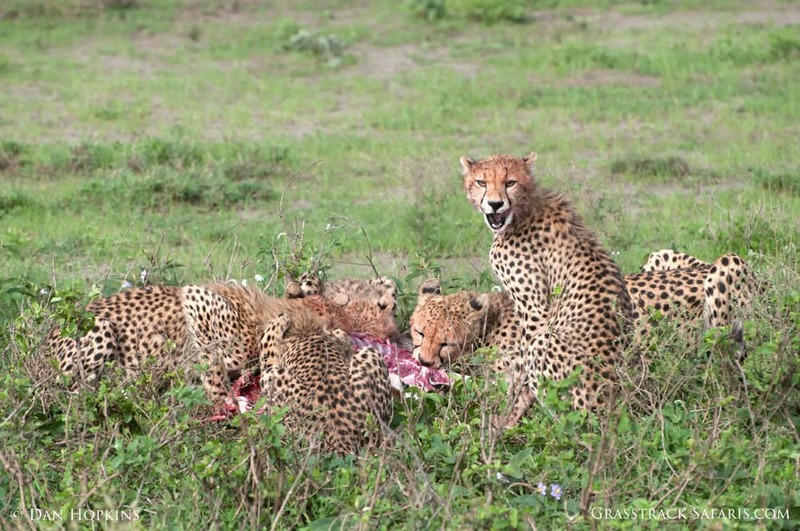 I recently returned from an amazing safari in Tanzania where I joined a small group of travel agents who also specialize in creating unique African journeys. Being on the ground is the best way to learn about a destination and during our 2-week safari I learned a great deal about Tanzania, the logistics of planning a safari, and insights on the best places and times to see the wildlife. We traveled throughout northern Tanzania visiting a number of lodges and camps, experiencing the rich diversity of cultures, and of course exploring the national parks for Tanzania’s abundant wildlife. Read on for a few highlights of our incredible safari. 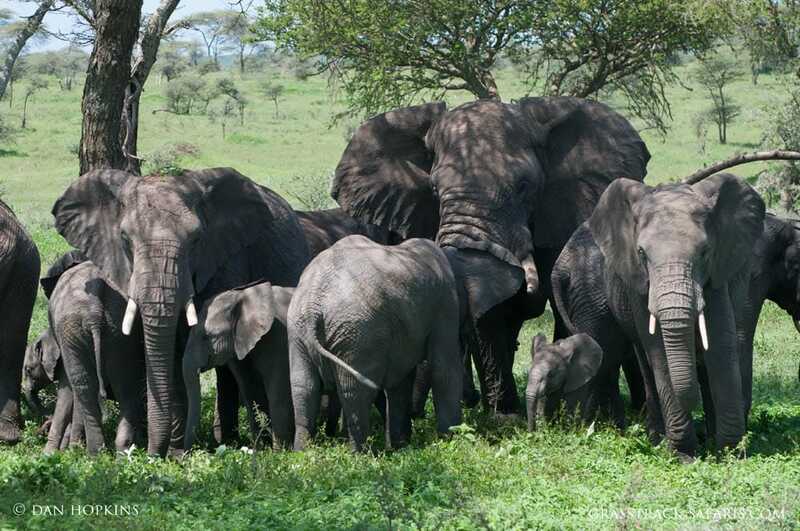 Tanzania has a diverse collection of national parks and the Serengeti is Tanzania’s crown jewel. 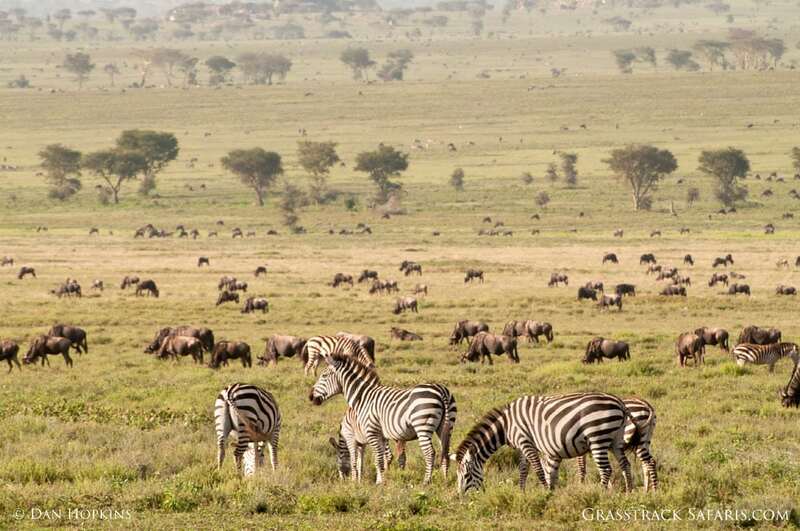 Endless plains dotted with acacia trees with healthy populations of game, including vast herds of wildebeest, elephants, lions, hyena, and cheetah. The park is famous for the wildebeest migration where nearly a million wildebeest follow a circular route of ancient paths around the park in search of fresh grazing. We were fortunate to visit the Serengeti when the herds of wildebeest and zebra were returning south to give birth. Our days were filled with wildlife encounters: cheetahs at a kill, lions lazing in the grass, and elephants meandering through acacia forests. But what struck me most was the vast sense of space. The plains stretched to the horizon and were filled with migrating wildebeest. We stopped one evening to watch the sun set and as we enjoyed our gin and tonics, the only sound was the bleating of the tens of thousands of wildebeest that surrounded us. It was just us and the wildebeest and zebra. There wasn’t another soul in sight. We spent our nights at two of Alex Walker’s Serien Camps (South and Kusini) and the Sanctuary Migration Camp. Both are luxurious mobile camps that moves throughout the Serengeti following the migration. Each canvas camp is set in remote area with large comfortable tents. exceptional food, friendly staff, and superb guides. We also learned about conservation work taking place on land outside of the parks. Chem Chem Lodge and its sister camp, Little Chem Chem, are located on concession land between Tarangire and Lake Manyara National Parks. Both lodges are involved in a number of important conservation projects. Their director spoke at length with us about projects working with the local community in keeping game corridors open, allowing wildlife to move between the parks to access water and grazing. The involvement of local communities is vital as elephants, lions, and other game must pass through villages and farms as they move between the parks. 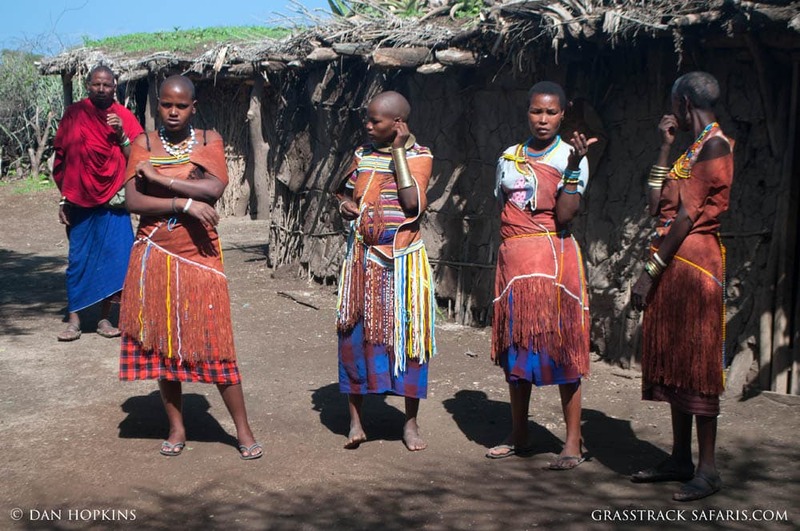 Tanzania is home to more than 100 different tribes and ethnic groups. The Maasai of northern Tanzania are arguably the most recognizable with their brilliant red cloaks and long spears. We had a few opportunities to visit villages for a look at how the local people live. 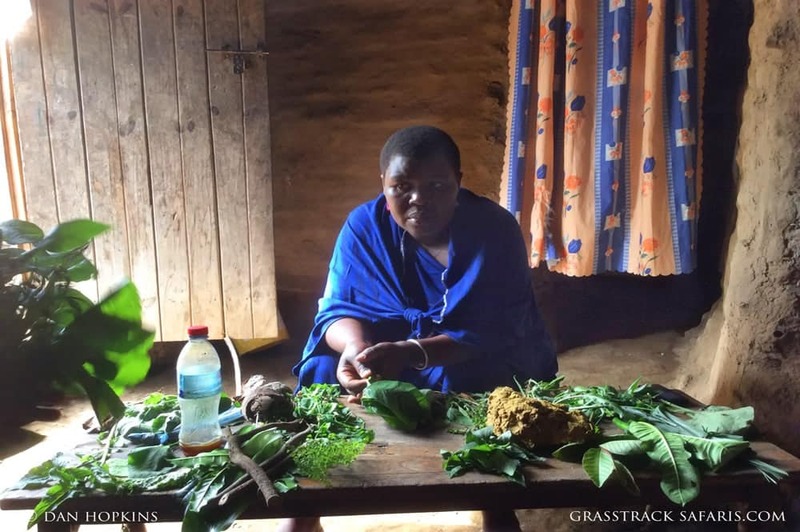 We walked through a small village in the foothills of Mt Meru and learned about their coffee making skills, banana plantations, and spent some time with the local healer and heard about the medicinal herbs growing in the area. The cultural experience that truly affected me was our morning hunt with the Hadzabe Bushmen. They are one of the last remaining hunter-gatherer tribes on earth and have lived this way for thousands of years. 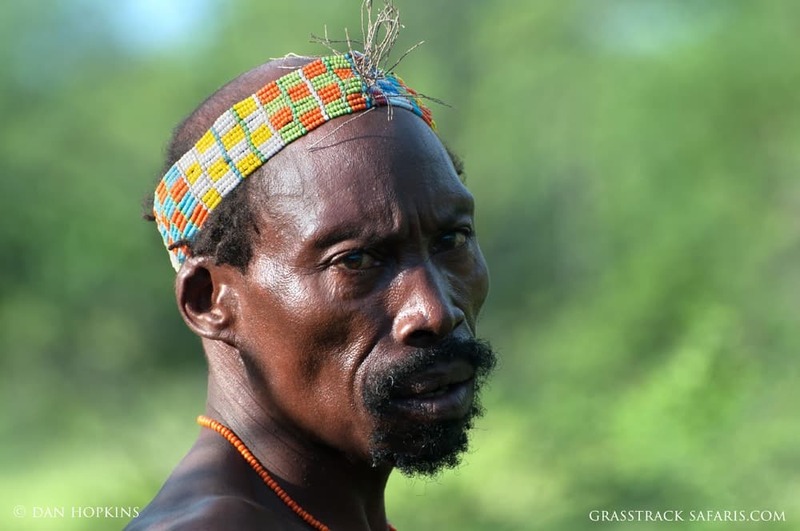 With fewer than 1500 Hadzabe left, their very existence is threatened. Arranged during our stay at Kisima Ngeda, a tented camp on the northern shore of Lake Eyesi, we spent a morning following the Hadzabe on a hunt. It was fascinating to watch them run effortlessly through the bush searching for game with their bows and arrows. The Hadzabe speak a click language (similar to the San of southern Africa) and our local guide translated our questions and told us about their daily lives. We watched them collect wild honey and roast a small bird they shot on a fire. This was a special encounter to see how human society may have looked thousands of years ago. What can be better than ending a safari with a few days on a tropical beach? 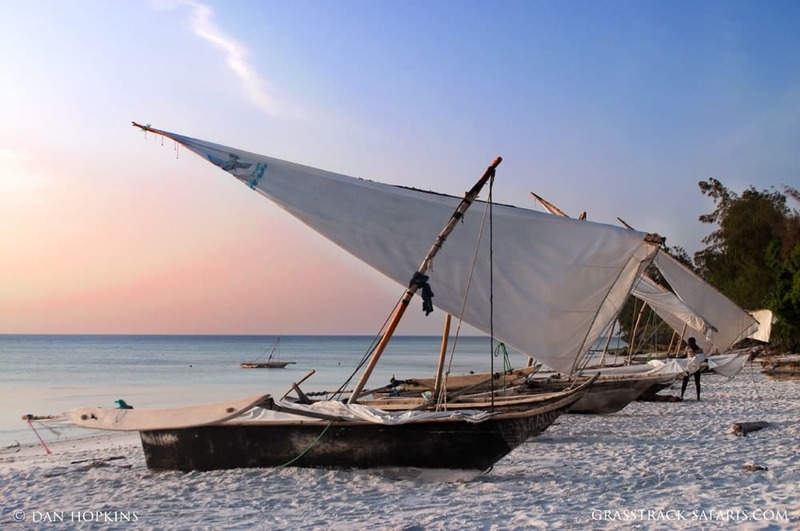 Following our safari in the interior of Tanzania, we flew to the remote island of Pemba off the Tanzania coast and just north of it’s more famous neighbor, Zanzibar. 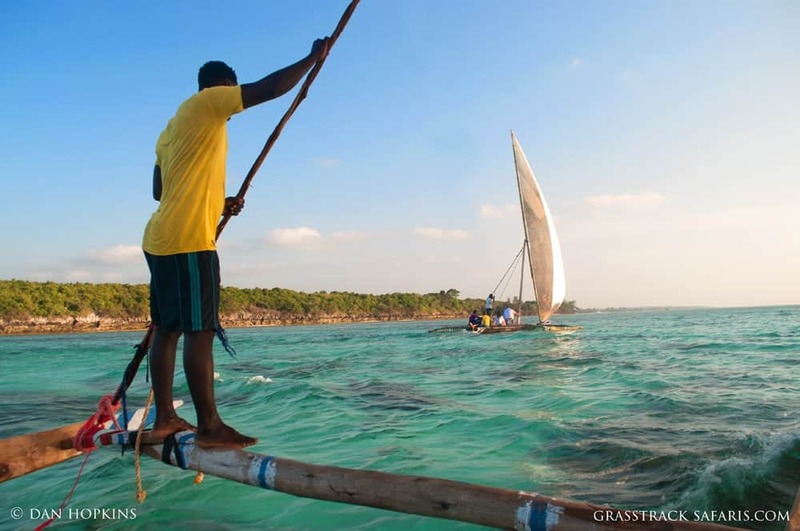 Not many tourists visit Pemba, so it still retains a laid-back, authentic feel. From the small airport we drove on dirt roads to the northern most point of the island through small villages, banana plantations, and tropical forests for our 3-night stay at the incredible Manta Resort. It’s not a “resort” as Westerners envision, but a small, intimate collection of bungalows set above a white sand beach. 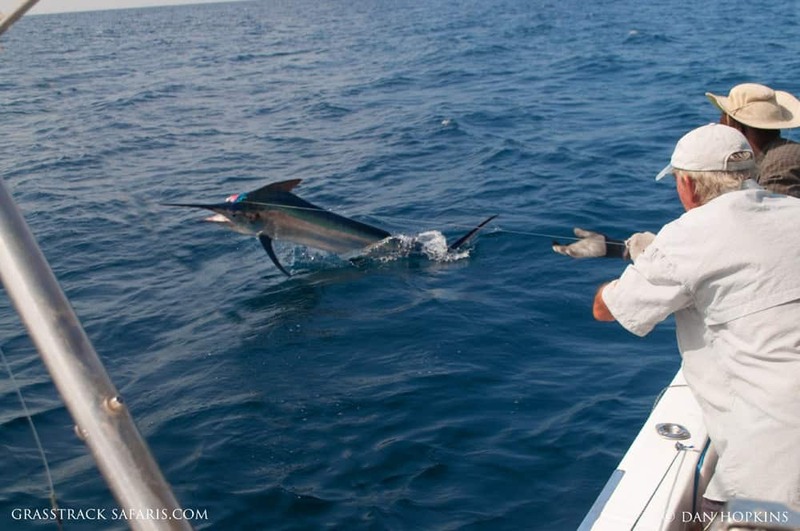 The Manta Resort is not about five-star luxury but about serenity and close encounters with nature. The staff at Manta are a close-knit family of people and treat their guests as members of this family. Their philosophy is based on the Swahili concept of “kwanini” (meaning “why” in Swahili). Kwanini has become who Manta is and it is the key question they ask themselves. Why are we here? Why do we do the things we do? Why will it make a difference for the island and for future generations? Matt, the manager, is passionate about Manta’s role in making a difference to the local villages and creating sustainable tourism on the island. Matt generously told us about their coral reef and forest conservation projects and how tourism is having a positive effect on surrounding communities. In fact our Manta guides were all local Pembans. They took us diving, snorkeling, hiking, and sailing on traditional ngalawas. Manta is also home to the only underwater room in Africa. It’s a 3 level, floating structure hovering above the reef. The underwater room is exceptional, with your bedroom 15 feet below the surface, sunbathing and stargazing on the top deck and lounging and dining on the water deck. Our 7 day Tanzania Trails is a great value with departures leaving Arusha every Saturday and guaranteed with a minimum of 2 guests. I’m also working with my new Tanzania-based partners to create some exciting and unusual itineraries, including walking & camping safaris through the volcanic highlands (led by Maasai guides), camping safaris to Tanzania’s remote southern parks, and safaris to all the iconic parks of Tanzania including the Serengeti, Ngorogoro, Tarangire, and Lake Manyara. To learn about these new itineraries, subscribe to our newsletter, check our website, follow us on Facebook and Twitter, or simply drop us an email to learn about these new itineraries.